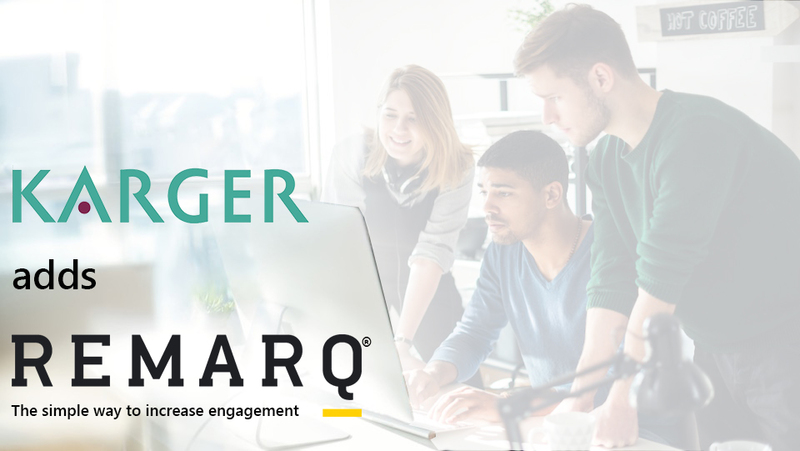 Remarq, the editorial engagement and researcher collaboration tool from RedLink, is now available on selected journals published by Karger. May 23, 2017, Westborough MA – RedLink is pleased to announce that the independent publisher Karger, based in Basel, Switzerland, is the latest publisher to offer Remarq, a tool for the research and education communities bundling collaboration, annotation, commenting, article sharing, and editorial tools, all on the publisher’s site and utilizing the version of record. Remarq is now available as a pilot on three Karger journals Caries Research, Digital Biomarkers, and Folia Phoniatrica et Logopaedica. “We are always looking into new options and services for our authors and readers. And Remarq offers a great opportunity to discuss research results directly on the article level,” said Marc Schindelholz Head of eBusiness Development & Rights.